A VPN or more commonly known by its full name virtual private network is a method that helps you to add one more security layer to improve the privacy of your device while its interacting with the Internet environment. It can be used for private networks like university and corporate networks, and while you’re trying to connect your device to public networks like Wi-Fi hotspot terminals. In this way you can browse any location on the Internet and don’t worry about security breaches. As time goes by companies, providers and individuals begin to explore the potential of VPNs; and, that’s why it is becoming a bigger part of the online environment. 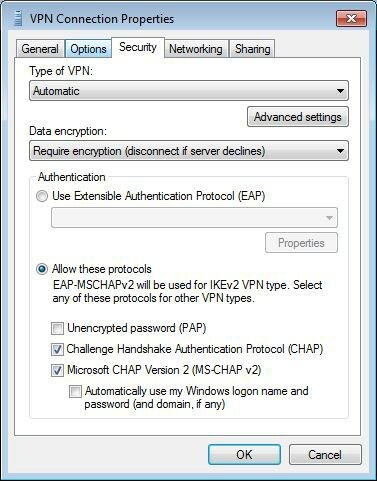 With the increase in the number of people that use some type of VPN system, the need of knowledge how to conduct a VPN configuration in Windows 7 is also pretty important. This is the most popular Windows based operating system after which comes Windows XP, but great number of users will migrate to the 7 version because there is no more support for XP and it has became a safety liability. The possibility that all of these people that used XP will migrate to Windows 7 is huge, because it is one of the most user-friendly and easy to use OS till date. There are various reasons why an individual would benefit from using a VPN, but here are some of the more often scenarios when you’ll have the need of this service. It’s mandatory. VPNs can sometimes be mandatory as companies and universities are too sensitive about the information that they share with their students or workers. Usually the costs of setting up a VPN are paid by your institution or they offer some free VPN solutions. You are a traveler. You are either traveling or live in a country that has lots of streaming, video, and other restrictions. The VPN will allow you to browse the internet like you are residing at a completely different country. Say goodbye to streaming restrictions. You’re doing something that needs to be kept a secret. Using a bittorrent type of service is illegal for use in great number of countries. Even if you use it for downloading free files legally you can end up explaining yourself in front of a court. By using a VPN you can download torrents anonymously, so, nobody won’t have ANY idea about what you’re doing online. Security and privacy are important for you. You want to keep all of your information that you use on the web private. Just check for antivirus and malware protection features inside the VPN itself. 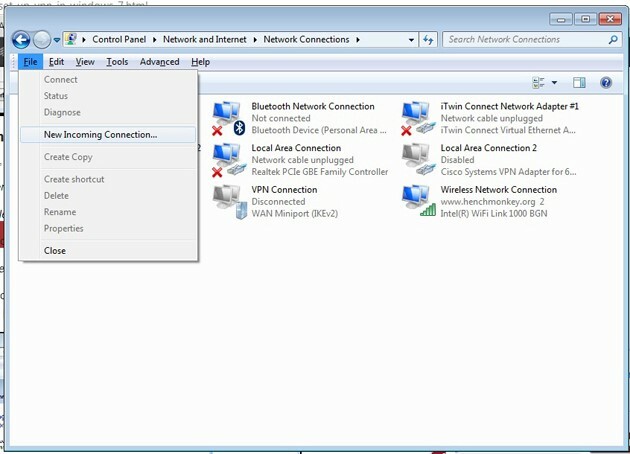 When working on the Windows 7 operating system you can choose between two basic types of VPN connections. For both of them there are couple of simple steps in order to get them going, yes simple because Windows 7 is so user friendly. There is also a difference in the way data flows and who is the host of the connection. Outgoing – Is the more common type of connecting to a VPN and is used by almost each user that needs this type of service. Having an outgoing session means that you are able to connect your computer to a different network or machine than yours. Incoming – Is a type of VPN connection used when both sources trust each other, or at least you trust the provider of the service. Thrust is important here because by having an incoming session you will allow other machines or networks to access your device and connect to it. That’s why you need to be careful with your choice. It is mostly used by companies and universities in a closed environment. Step 1 – When you open the Network and Sharing Center which is located in the Control Panel, more precisely in Network and Internet, find the “Set up a new connection or a network” option and click on it. Now you will enter the connection wizard that will guide you through the whole process. After that select the “Connect to a workplace” feature. It is little bit confusing, but yes you need to create a new network in order to have access to your existing ones. Step 2 – Use the IP address of the VPN or the domain name of that network for the “Internet address” field. You need to receive this info from the administrator of the network. If you want to connect later, just click on the “Don’t connect now; just set it up so I can connect later” checkbox. In order to make the connection available for other users of the device check the “Allow other people to use this connection” field. Step 3 – The next screen asks for your username and password, which will not be the case if you select the “Don’t connect now” feature. In the second case you will enter a screen that will ask you to connect to the network, you can exit this screen and connect later. Before you connect to the VPN network you will need to enter your username and password, which are also information provided by the network admin. Step 4 – There are various reasons why the connection could fail. One of the most common reasons why this can happen is connected with the server itself. Just open the Properties window and click on the Security tab and check if the type of connection is set to Automatic. 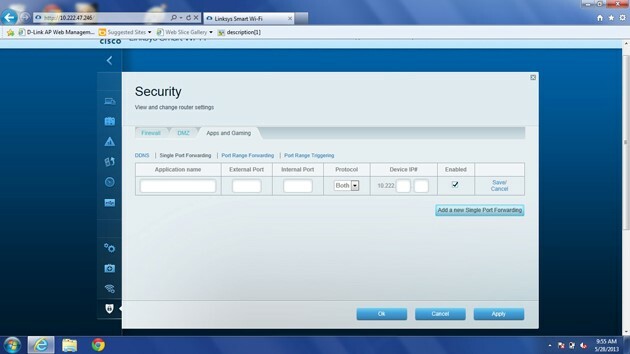 You can ask the administrator if the type should be changed to PPTP, L2TP/IpSec, IKEv2, or SSTP. If problems still arise, just see if you have unchecked the “Include Windows logon domain” field. Step 5 – You’re up and running that outgoing VPN connection till now. 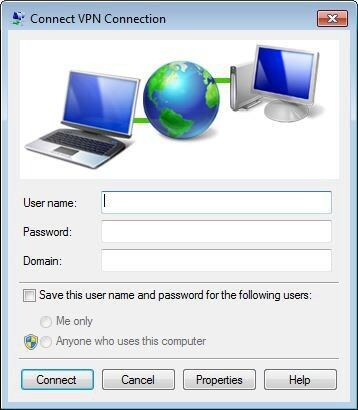 This is one of the easiest ways to perform Windows 7 VPN setup. Now let’s go to the Incoming VPN type of connection. 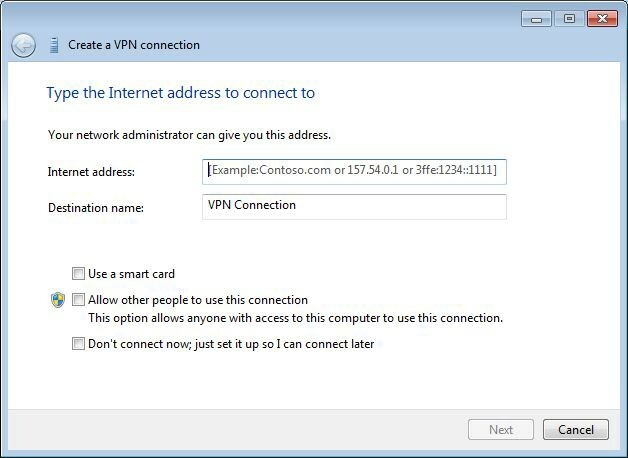 Step 1 – The first step towards building a working incoming VPN connection you need to tell your computer which device will take all the VPN traffic that occurs. In order to do that you need to configure your network router. To enter the control panel of your router you will need to open up a browser and typing something that will look like this 192.165.1.6 (this IP address is dependant from the type of your router). Just check the manual from your router and you will get the point. After this you will need to configure the port-forwarding process. When finishing this process, the Windows device for which you are setting the VPN should have its IP address in port 1723. To get the computer’s IP address just type ipconfg in the command prompt area. 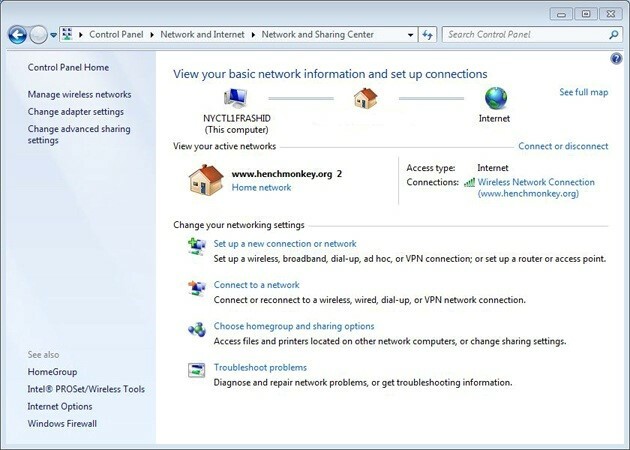 Step 2 – You then enter the Network and Sharing center and select the “Change adapter Settings” option. It’s located on the left side of the screen and here you will see all current connections that you have set up. Click on the “File” tab in this section and proceed to “New Incoming Connection”. Step 3 – Selecting the participants of the network is very important here as you will be hosting the whole VPN connection, so be careful when you select existing and add new users. It is also important to select the feature that allows users to connect through the Internet. Step 4 – Make sure to setup only TCP/IPv4 types of connection because most of your users will be using them. You can add the IPv6 connection if your computer is using it or you’re sure that some of your users are having that type of connection. Another thing to keep an eye on while you are on this screen is the File and Printer Sharing option. You need to think if you really want to allow the users of your network to swiftly change computers and use some files from your device or your printer. Step 5 – After you have finished all of the setup stuff you will need to share some information with your users, so they could connect to this network. You can start only with the name of the network because you haven’t setup a password protection for your network. 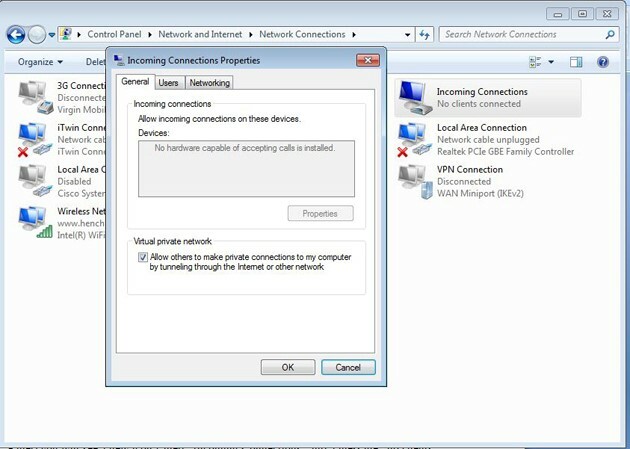 If you go back to the first screen that we entered during this VPN Windows 7 setup, you’ll see the connection that you have just created. That’s it, we’re done! If you have any problems with setting up any of these VPN connections, feel free to comment for help.